Dipicting romantic Hollywood glamour, the Marino Chandelier by Eichholtz features a glass spiral of glittering light shards. 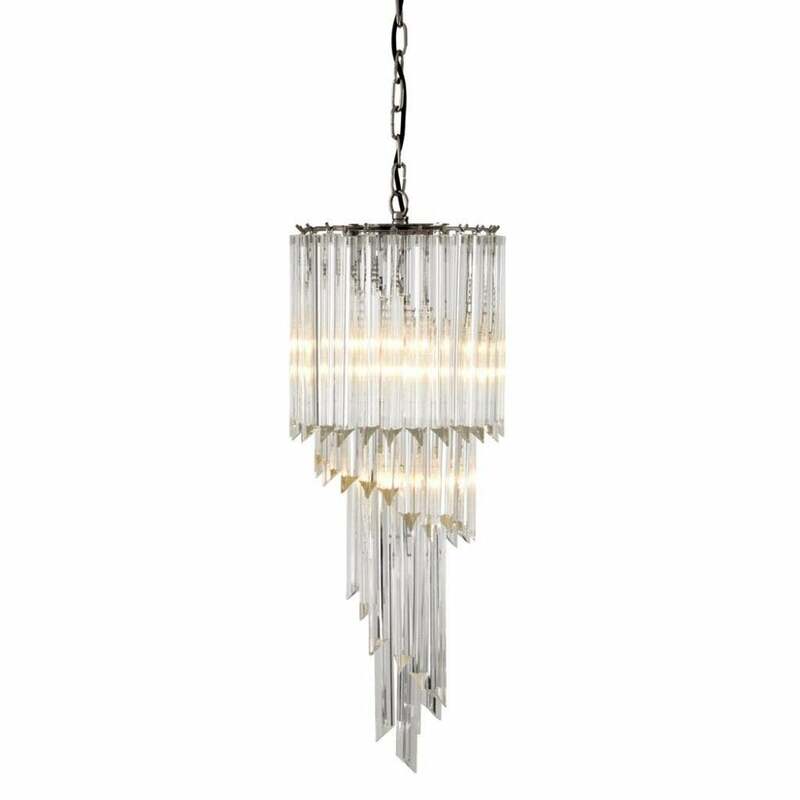 This glamorous chandelier would make a beautiful addition to a hallway, bedroom or living space. Add a touch of luxury to your interior scheme whether traditional or contemporary. Style within a plush bedroom suite with calming hues of dove grey, heartwood and lavender. Complete with an adjustable hanging chain, this versatile chandelier can be customised to suit your interior requirements.